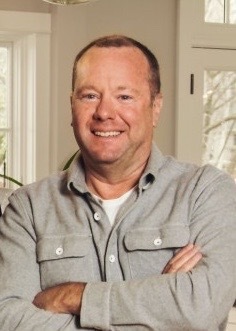 Gary Knight joins NARI-MN Board of Directors | Knight Construction Design Inc.
Certified Remodeler Gary Knight of Knight Construction Design begins a two-year term this week on the board of directors of the National Association of the Remodeling Industry’s Minnesota Chapter (NARI-MN). Minnesota is NARI’s second largest chapter nationwide. The association is a primary resource for remodeling companies and their clients. It elevates the professionalism of the remodeling industry by expanding knowledge, building relationships and recognizing excellence. This helps property owners identify the most accomplished and reputable remodeling firms in the Greater Twin Cities metro. Gary’s first official act as board member will be to participate the board’s annual retreat this Thursday and Friday. During the extended planning session, board members will review the association’s five-year strategic plan and discuss how to continue to enhance service to contractors and consumers alike. Knight Construction has received numerous NARI Contractor of the Year (CotY) awards in multiple categories over past several years, including 2015 National Contractor of the Year for entire home remodeling $250,000-500,000. Gary also has been an active participant in local NARI Roundtables. Congratulations Gary! You will be a great asset to the NARI-MN board. Your many years of experience in home remodeling and construction, multiple awards, and many happy home owners prove that you are a leader in your field. I am so proud of you and all that Knight Construction has accomplished.